Born in Tokyo, Japan, Akira Senjuu debuted in the music industry in 1992, by composing the soundtrack for "Mama wa Shougaku Yonensei" anime. He then expanded his work into J-Dramas and movies. In 2001 his music arrangement for J-Drama "Strawberry on the Shortcake" won in "Best Music Arrangement" nomination of 28th Television Drama Academy Awards. 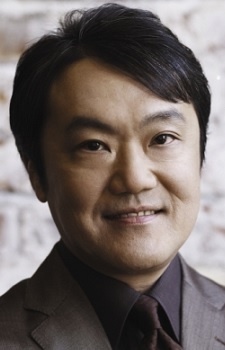 In anime Industry he is best known for composing the score for Mobile Suit Victory Gundam. As a composer he really is mediocre but he excel at making arrangements. He manages to make very simple melodies into something really great. His OST on FMAB really falls short compared to what Michiru Oshima has done . This guy's style is just so generic and weak. For the Trisha's lullaby, I give you my greatest respect. It was truly master piece. he will compose the music for battery! can't wait!!! !